Blessings in Disguise: The cutest shoes on the planet! Sometimes, looking at baby clothes and/or little girl's clothes in the stores is virtually impossible for me. I was on Old Navy the other day, wondering why oh why was the toddler section in such close proximity to the women's clothes? Everywhere I turned, I bumped into some form of pink, frilly, size: tiny clothing. Sometimes my heart swells up with pride, thinking of my little girl and how she must look so cute in these clothes. Other times, my heart cracks in half (or most likely quarters, at this point) and I wish I had a reason to buy each and every single outfit. Especially the shoes. Oh my gosh, the shoes...like little miniature versions of the very same ones I wear. And, since it's now summer, the pink jellies are out. I used to be obsessed with my jellies and I distinctly remember having a pair in pink, clear, green, and purple. 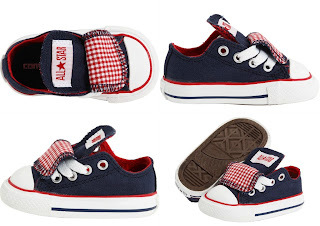 Anyways, every now and then I look at the baby shoes online. Don't ask why, I don't know. Sometimes I think I want to get a pair, just to keep in her memory box as her 'first' pair of shoes from me. My mother still has my first baby shoes hanging over her mirror in her room. Of course she's now too old for a teeny pair like that, I'm guessing she's now an infant size 5, or maybe even bigger. I cna't imagine why they would care. I would love for my kids to get gifts from firsts moms that love them. So I was on the opposite side of things, the baby stuff pregnancy stuff would make me leave just about anywhere because I was so sick with grief and longing to have kids of my own.